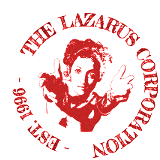 A separate directory of events featuring artists and writers from the Lazarus Corporation is now available. Currently showing 1-10 out of a total of 39. This is page 1 of 4.